Exhausted enough to know that coffee is just about the only thing that’s gonna jumpstart our day but fully aware that taking the walk/drive/crawl to the nearest coffee shop isn’t gonna happen. This dilemma is as old as time–or at least as old as whenever American started running on Dunkin’–but it might just have a solution. A Dunkin’ Donuts delivery service. Yes, delivery. Announced during a recent media summit at its Canton headquarters, Delish reports that Dunkin’ Donuts representatives announced the addition of a delivery service to its upcoming mobile app update. 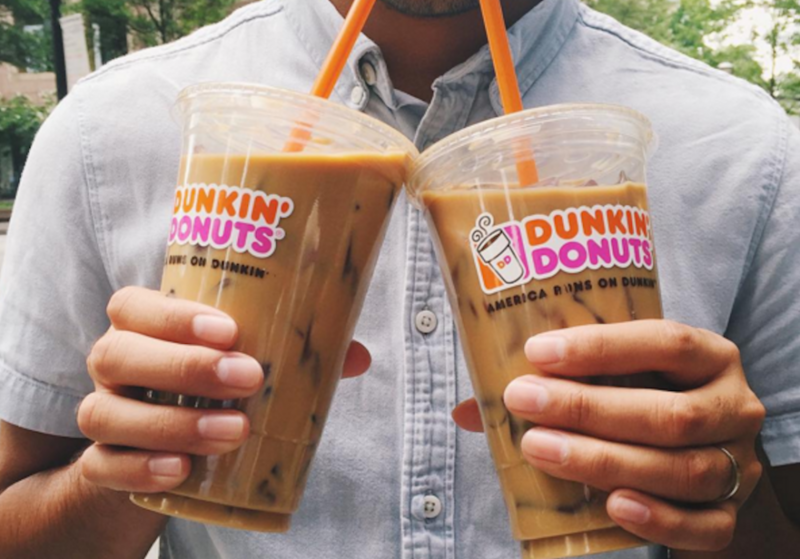 Similar to the Chipotle drop-off model, Dunkin’ Donuts will be delivering caffeine boosts through a third party partnership. This new update of DD Perks will also let customers order their grub ahead of time for curbside or in-store picks. Ya know, for all those mornings when a minute-and-a-half long wait for your coffee regular just isn’t short enough. But, alas, don’t get too excited. Steve Hudler, vice president of global consumer engagement, doesn’t expect to see these options become a reality until early 2016. And even then, only one yet-to-be-announced market will be chosen as the guinea pig for these new delivery and pick-up roll outs.